Subscribe to get deals from hundreds of merchants including the best of Chope! Promotion Period: 24/12/2018 to 31/12/2019. Valid for one-time use only.. Discount code is redeemable on the checkout page of shop.chope.co / the latest Chope App to offset Chope voucher purchases.. Discount code is valid until 31 December 2019. No extension will be entertained.. Discount code is valid for one-time use only, and is not applicable with other discount codes.. Discount code is not cash redeemable.. Individual restaurant vouchers’ terms and conditions apply.. The management reserves the right to amend the terms & conditions as necessary.. Promo code is not valid with other promo codes and discount codes.. DBS General Promotions Terms & Conditions apply, visit www.dbs.com.sg/dbscardstnc.. Please always check with the merchant on the validity of the promotion before purchase. Discount code is valid for one-time use only, and is not applicable with other discount codes. Promotion Period: 24/12/2018 to 31/12/2019. 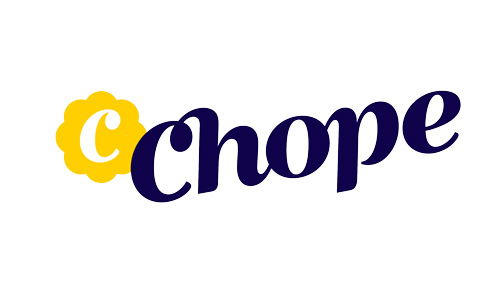 Discount code is redeemable on the checkout page of shop.chope.co / the latest Chope App to offset Chope voucher purchases.. Discount code is valid until 31 December 2019. No extension will be entertained.. Discount code is valid for one-time use only, and is not applicable with other discount codes.. Discount code is not cash redeemable.. Individual restaurant vouchers’ terms and conditions apply.. The management reserves the right to amend the terms & conditions as necessary.. Promo code is not valid with other promo codes and discount codes.. DBS General Promotions Terms & Conditions apply, visit www.dbs.com.sg/dbscardstnc.. Please always check with the merchant on the validity of the promotion before purchase. S$10 off total bill with minimum spend of S$40 Offer is valid with prior reservations that are booked through Chope with the promo code [first 6 digits of your HSBC Credit Card]HSBCCHOPE (e.g. 123456HSBCCHOPE). Offer is valid till 31 December 2017.. Payment must be made with a HSBC Credit Card.. Chope reserves the right to cancel suspicious bookings/orders without prior notice.. Please always check with the merchant on the validity of the promotion before purchase.